PRIME LOCATION! 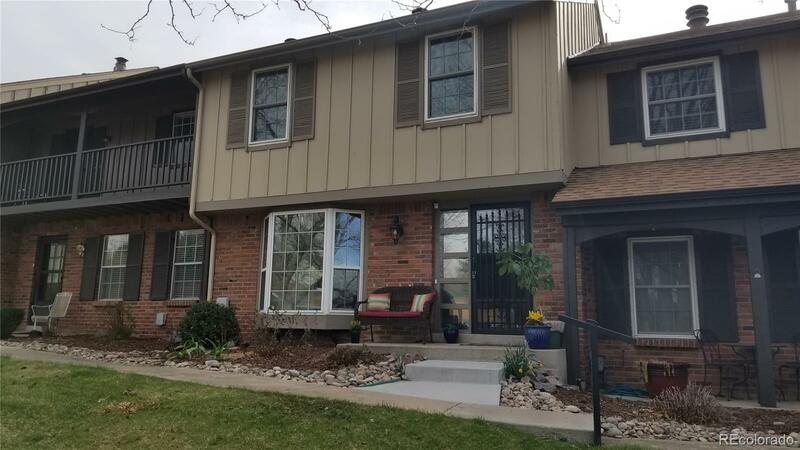 Rarely available two story townhome in highly desirable area close to downtown, parks, lite rail, shopping, Bear Creek Bike Trails, Bear Creek Greenbelt, and multi restaurants. Well maintained Community with multi amenities! Wonderful bay window brings light into living room. Gas fireplace adds to cozy ambiance! Built in book shelves. Oversized Master bedroom with double closets. Great enclosed back patio area for entertainment leads out to 2 car garage. 3 Bedrooms up plus full bath and 3/4 bath off master! 1/2 guest bath on main floor. Additional finished room in basement can be used as Family Room or Flex room. Fabulous storage area in basement. New Tile and carpet throughout installed in 2016. Installed to code beautiful wooded staircase. Main level 1/2 bath remodeled in 2016. Electrical box replaced in 2015 to code. Radon System installed in 2015. Don't miss out on this one!! Won't last long! !